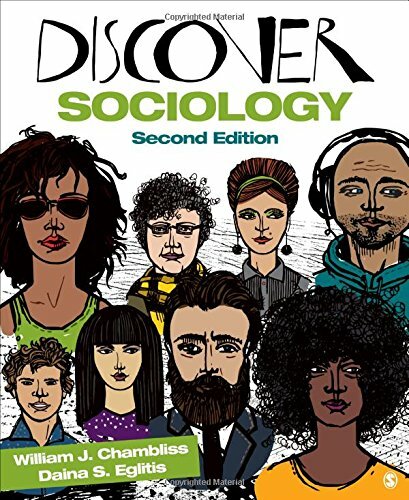 With their newest edition, Bill Chambliss and Daina S. Eglitis continue the journey beyond the classroom to help students answer these questions in Discover Sociology. Chambliss and Eglitis inspire curiosity about the social world and empower students by providing the theoretical, conceptual, and empirical tools they need to understand, analyze, and even change the world in which they live. Every chapter in the book integrates robust pedagogical features and empirical research that illuminate the social roots of diverse phenomena and institutions, ranging from poverty and deviance to capitalism and the nuclear family. From exploring whether the use of "study drugs" should be considered cheating to an examination of research showing a correlation between rising student debt and declining rates of marriage, the book’s chapter openers engage students in real-life applications of sociology. Going beyond theory and concepts, the authors also help answer the question, "What can I do with a sociology degree?" "The single best thing about the textbook is how it balances being attractive and accessible for student readers, and being well-organized and strong content-wise to meet my expectations as an instructor." "There is good linkage between theory and the discussions. The vignettes on what one can do with a sociology degree tying specific topics to the skills desired in different areas, is unique." "The combination of the content covered, the level of difficulty, design, and the quality of the supplemental materials was winning. " "I prefer [Ch. 1] in Discover Sociology over my current text, in part for the clear delineation of schools of thought (or sociological paradigms) and the contributions of early social theorists. This is important because students regularly complain about having to memorize names. Asking them instead to focus on how a paradigm (e.g. structural functionalism) would explain something [like gender inequality] is much more helpful." Chambliss, William J., Eglitis, Daina S.